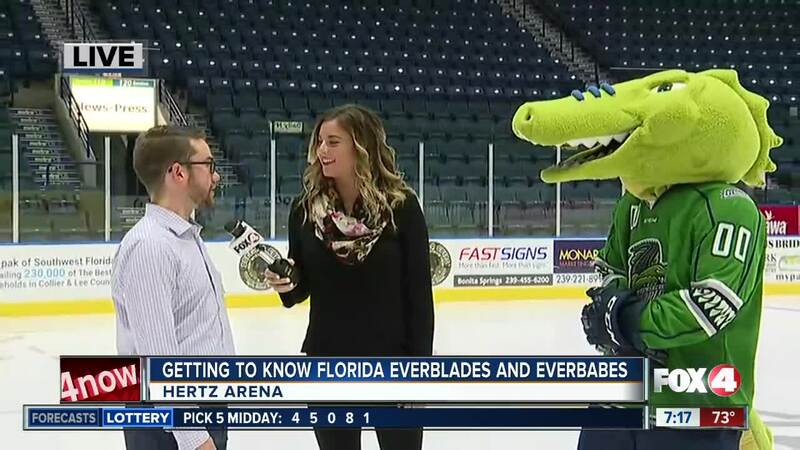 As part of the ECHL, the Florida Everblades are underway in the 2018-2019 season, with 11 wins and 5 losses. ESTERO, Fla. — As part of the ECHL, the Florida Everblades are underway in the 2018-2019 season, with 11 wins and 5 losses. The team is gearing up for their next home game on Wednesday night, December 5th, at 7:30. They take on the Jacksonville Iceman. It's also $2 Wednesday for a selection of beverage and food items. 4 In Your Corner got to know the team and the Everbabes behind the ice Tuesday morning.